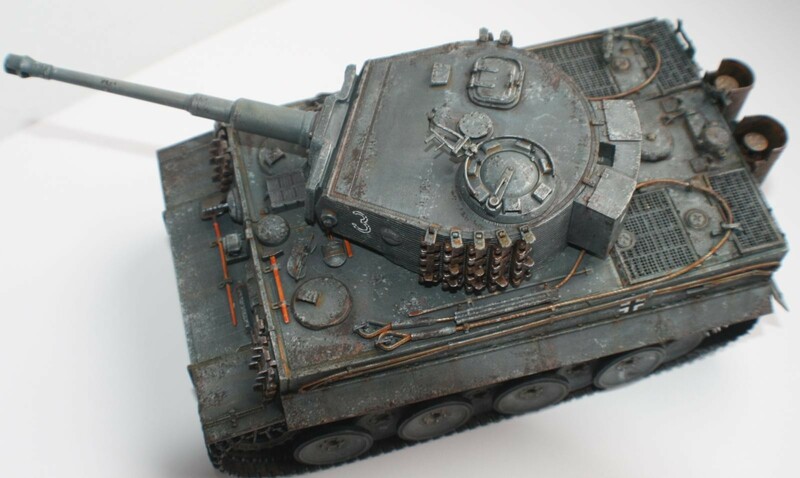 This is my 1st 1/35 Tiger Tank build. It is a Dragon molding from their latest series of Tiger’s released #6866. 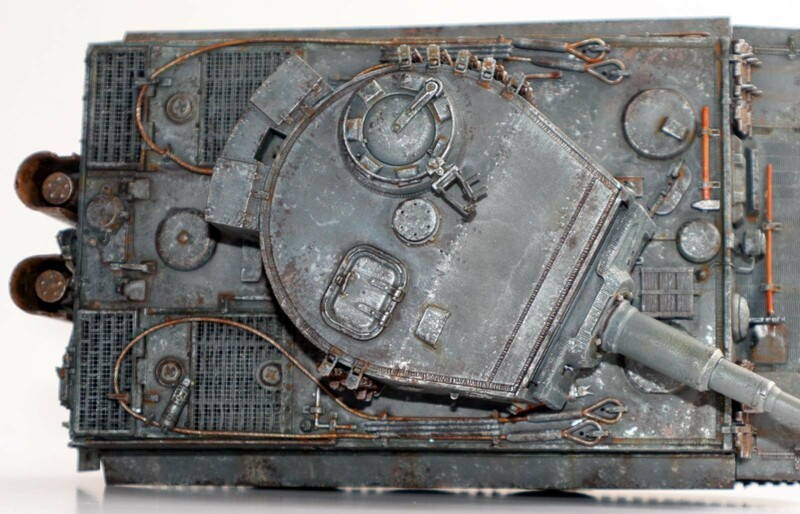 The Box title is the “1/35 Pz.Kpfw.VI Ausf.E Tiger I Mid Production Remote Controller mit Borgward Ausf.A Heavy Demolition Vehicle s.Pz.Abt.508, C Company”. It did include as a bonus the Remote Controlled Demo Vehicle kit but I chose not to build this. It is still sitting in my stash. Overall fit is very good and I am told it is one of the better Tiger’s on the market. I did not encounter any major issues and/or problems during the build. The tracks are Dragon’s DS band tracks which are well detailed despite being rubber band type tracks. Dragon models IMHO are a bit over-engineered and this often results in an overly complex build. It also results in a very high parts count. This Tiger is no exception to that, although it does result in a very accurate and super detailed final product. The instructions are well detailed, and also complex, sometimes making it a bit difficult to follow. This may be more relevant to my lack of experience because it was my 1st Tiger build so I was not already informed on the natural arrangement of parts. Especially true when it comes to the complex road wheel arrangement and the high parts count making up these parts. Even with many diagrams and illustrations provided in the manual I was still very confused for some time before I just jumped in and got it done. 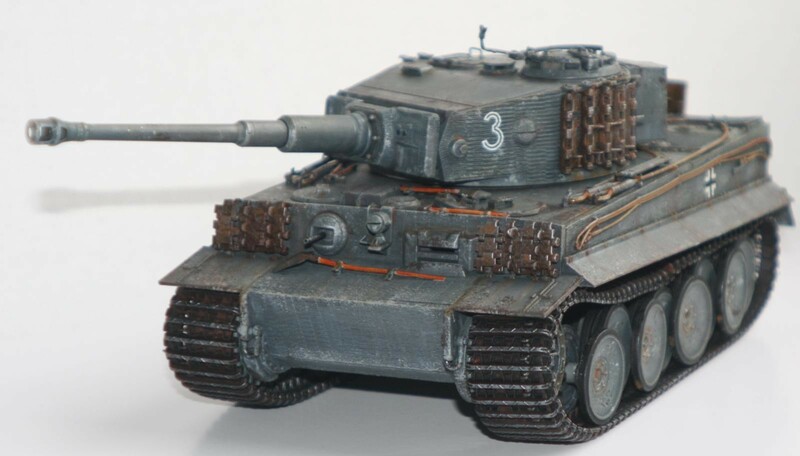 If I build another tiger I will be more comfortable with this aspect. I am not sure if this model is accurate regarding it’s color. 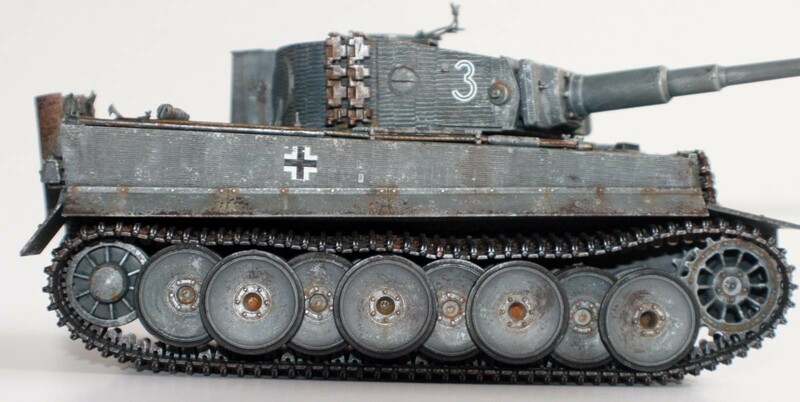 I know that this is a later model Tiger and I also know that the panzer grey used in this build was more appropriate for early war German armor. 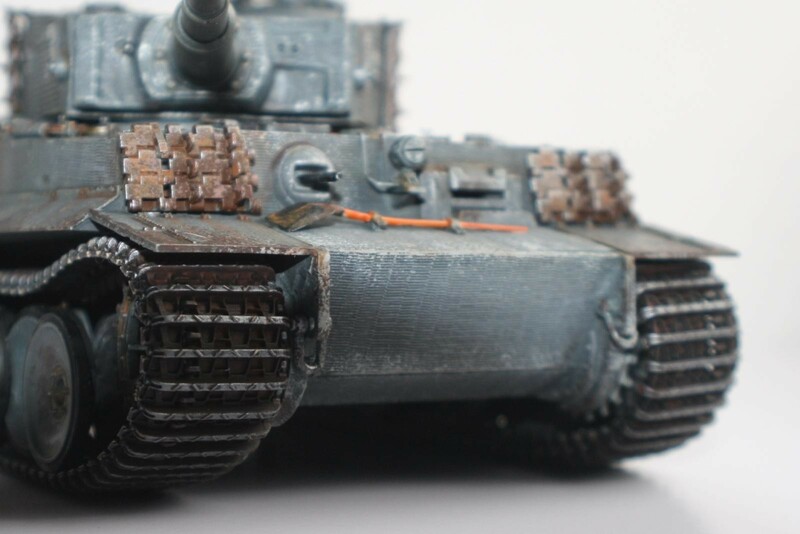 I just love the way the Tiger’s looked in Panzer Grey and wanted to experiment with using this color on this build. 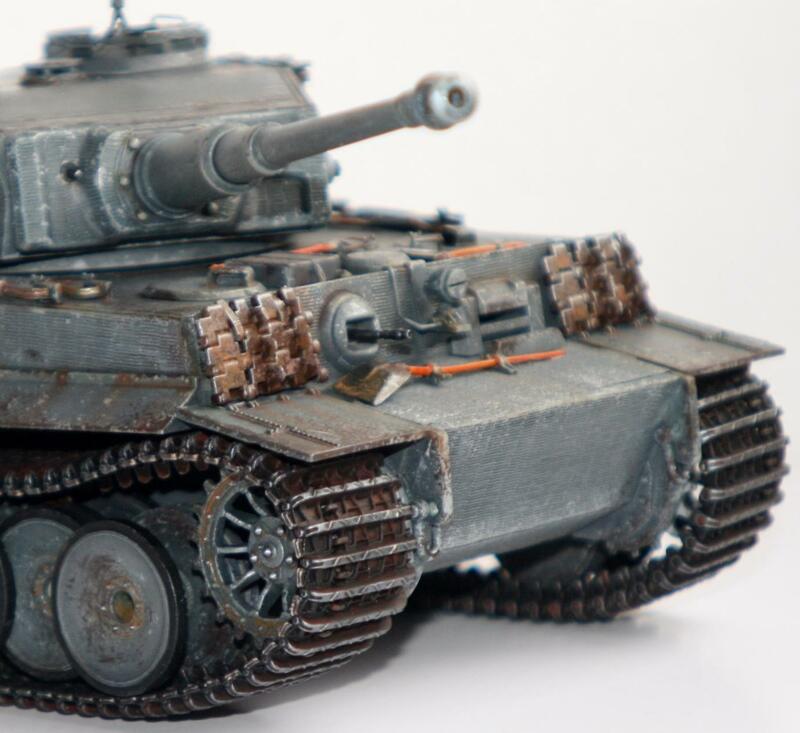 Comments are welcomed regarding this aspect because I am curious if this tank could of existed in this color? Overall I like the way it came out and do not regret using the grey on this build. Maybe I sum it up to a little artistic license. This is also an OOB build with no added extras added and IMHO none needed. I think the only need for some armor builders is the addition of metal link tracks. Other then that Dragon has it covered on this one. So I hope you enjoy the photos and please comment if desired. 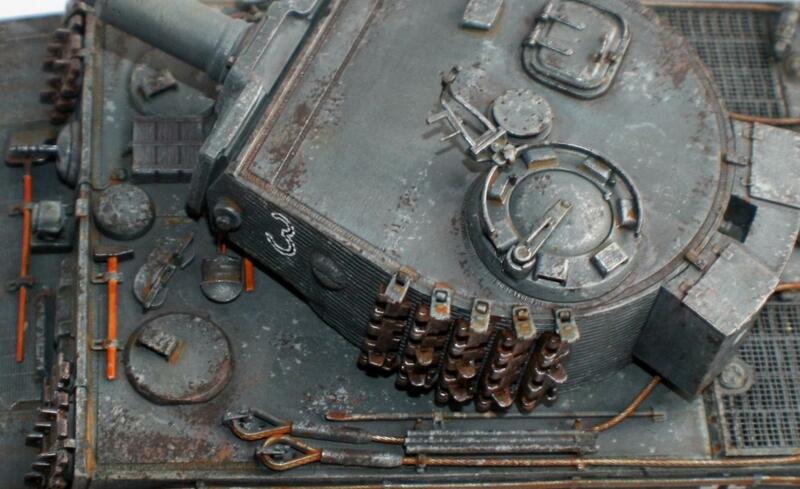 Wow Paul, if that is your first 1/35th scale tank, I’m looking forward for the number five! 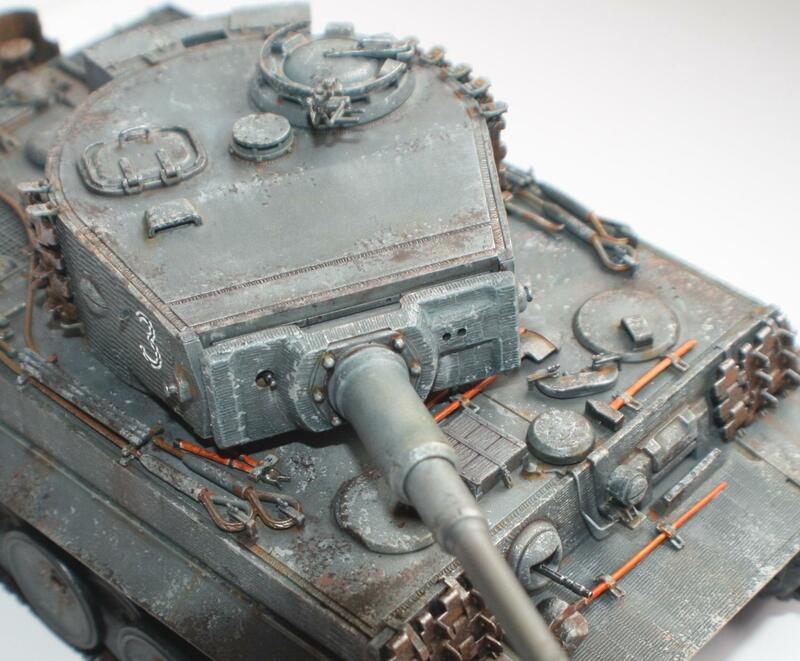 Very nice build and weathering, I’ll post on my tiger soon again! 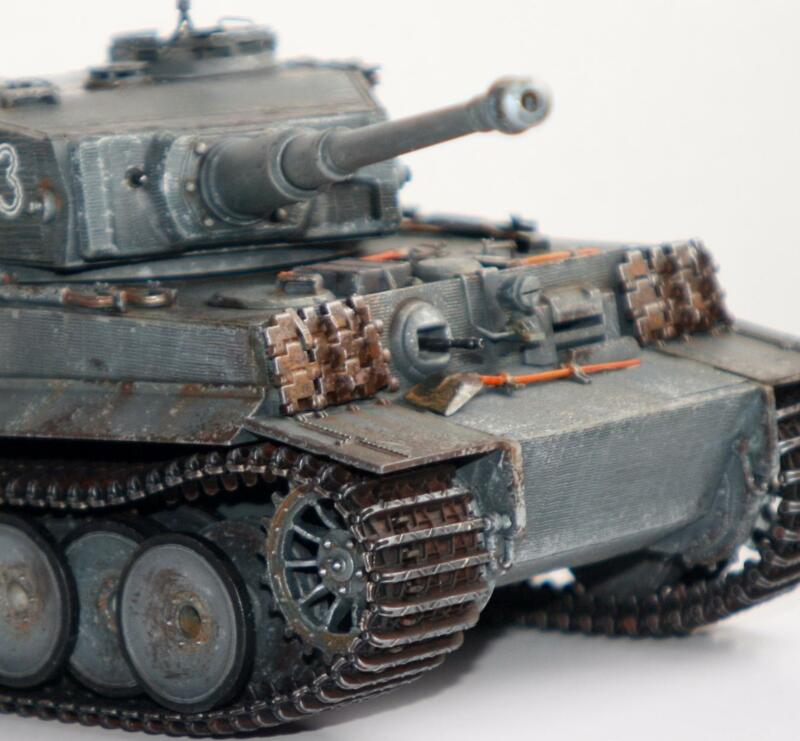 No, Its my 1st Tiger Tank, build lots of armor. That’s just a lovely bit of modeling! 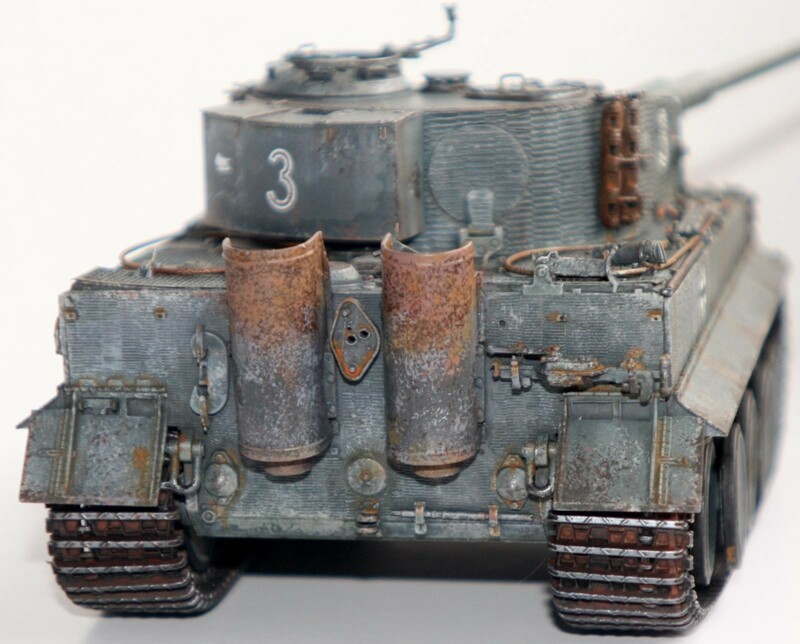 Your weathering makes a normally dull, monochromatic scheme really come alive with character. Nice work there, my friend – I like it! What a great looking beast! It looks mean even as a scale model !!! I really like your Tiger. You have some serious detail work on it !!! I’m not a Tiger expert by any means. I do know a little about them however. As far as the color of Dark Panzer Gray being used on earlier German vehicles you are correct. If memory serves me, they started producing Tigers factory painted in Dunkelgelb (Dark Yellow) in February of 1943, when the Germans started using the typical “three color” camouflage we typically see. This system used a base color of Dark Yellow, and allowed unit Commanders to paint their vehicles as needed, dictated by the surrounding operating area typical colors. They used a paste of green or a red brown to augment the dark yellow base color. Depending on how the paste was mixed, or what was used to thin it down (sometimes used oil, gasoline, or water), these colors varied greatly. Sometime around September / October 1944, another base color change was made. This time they switched to a dark green base color. Sometime during this period, they were allowed to use the red brown base primer color as a base, instead of adding green or dark yellow, in an effort to conserve materials and labor. Finally there are rumors that there were some dark gray vehicles being used in 1945 !!!!!!! This supposedly happened because they had some old stock paints left over from the earlier years…….. But keep in mind, this was a rumor, and to my knowledge it hasn’t been verified………..
but it is “possible” to some extent. Plus crews occasionally repainted their vehicles using what ever they had available…………….. In the case of your Tiger, I wouldn’t completely rule out the dark gray color……………. but I would say it is unlikely. 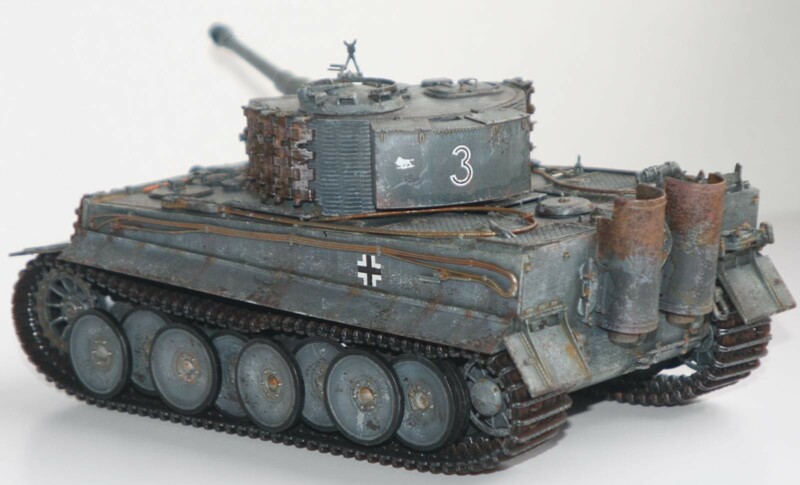 Some of the early Tigers left the factory in Panzer Gray during mid 1942. Some destined for North Africa left the factory in Afrika Braun (RAL 8020) during late 1942. 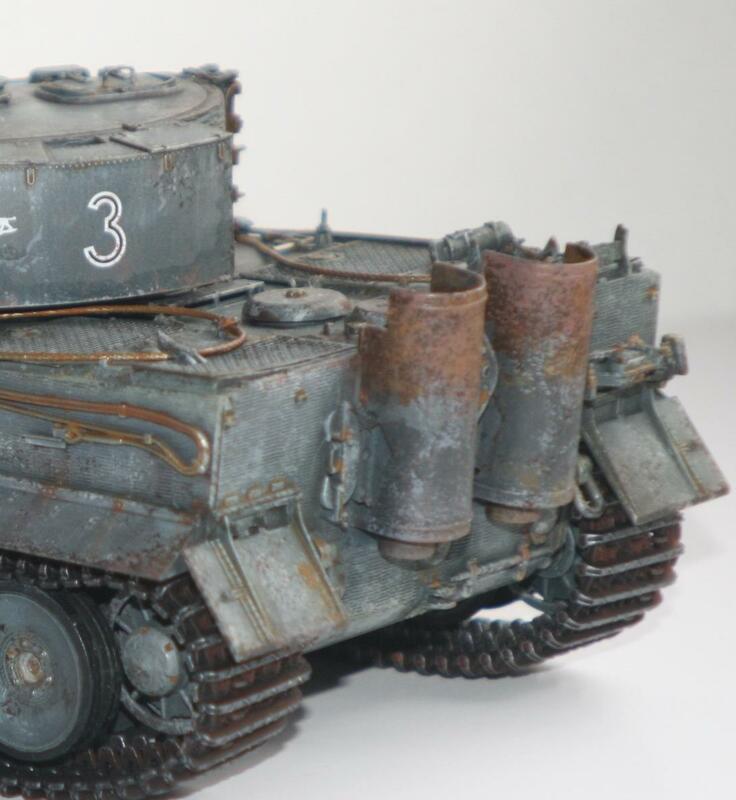 Your tank has Zimmerit on it, a mid production escape hatch on the side of the turret, and rubber rimmed road wheels which were used on early to mid production vehicles. The later Tigers used steel rimmed “resilient” road wheels. Zimmerit was used from early 1943 and was “supposed” to be stopped around September 1944. However it was sporadically used until early 1945, when it was widely discontinued. 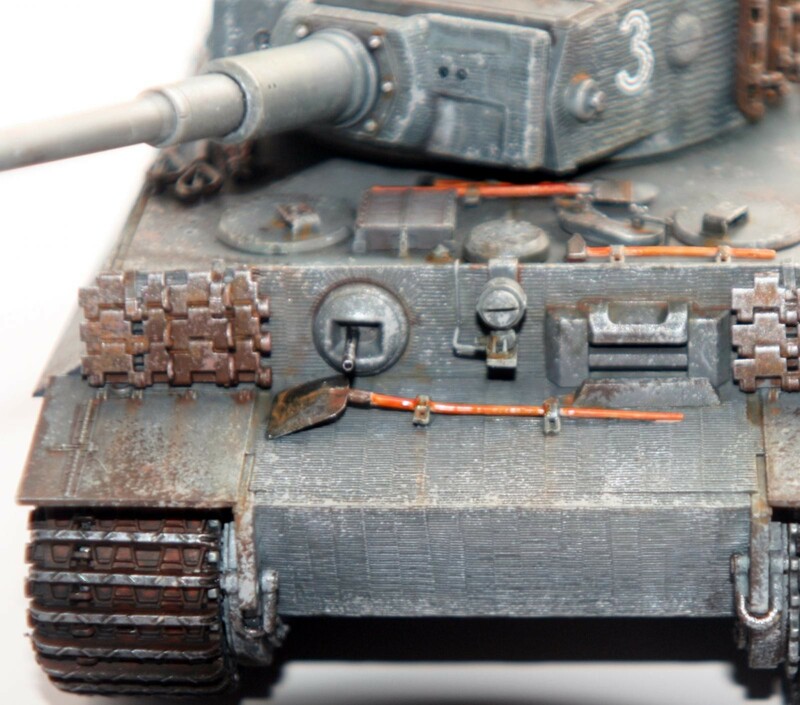 With German Armor, anything goes………… Who can prove you wrong otherwise ??? I like it, and so do you. It’s your opinion that counts. If you are happy with how it looks, and you had fun doing it, that’s all that matters. wow what a fantastic bit of info. I really appreciate the support u give to me for using a bit of artistic license, after all, it is a hobby 1st and foremost, and I enjoyed creating the finish and wanted that look. Maybe we could look at it as a “what-if” piece. Sometimes I need to be exact b/c I do a lot of consignment builds, but this was all for me. Although it did sell rather fast on a popular auction site. That person must of liked the look also b/c it was not cheap, so I assume person really into German Armor to pay a good price for a built armor model. Again thanx for the info and support! Nicely done Paul, and like you I like the way she looks in Panzer Grey. 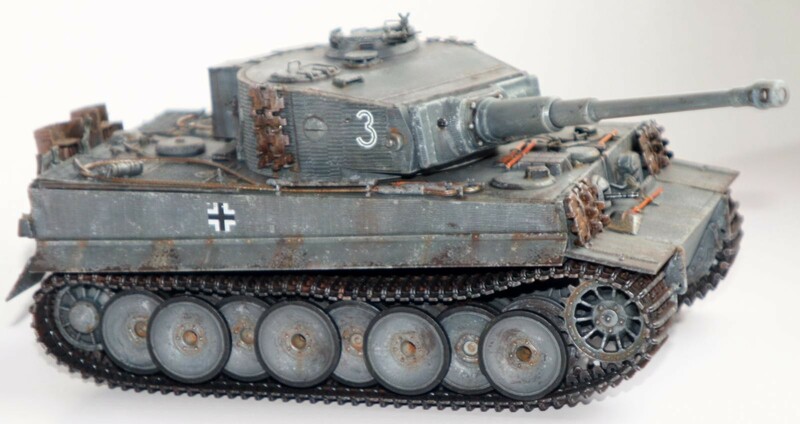 Thanx it was a cool color for german tanks. Another beauty from the bench of the (obviously) busy Paul T.! Really well done ! I saw my 1st Tiger I (as well as all the other “war trophies”) at the Aberdeen Proving Ground Museum back in 1981. When I stood in front of it I could imagine a small amount of what enemies of the Wehrmacht probably felt the first time it was encountered. This tank is a real BEAST ! I think that German WWII armour usually looks better in grey, and this one certainly looks more than OK. I don’t think that any Tigers went to Africa in RAL 8020. 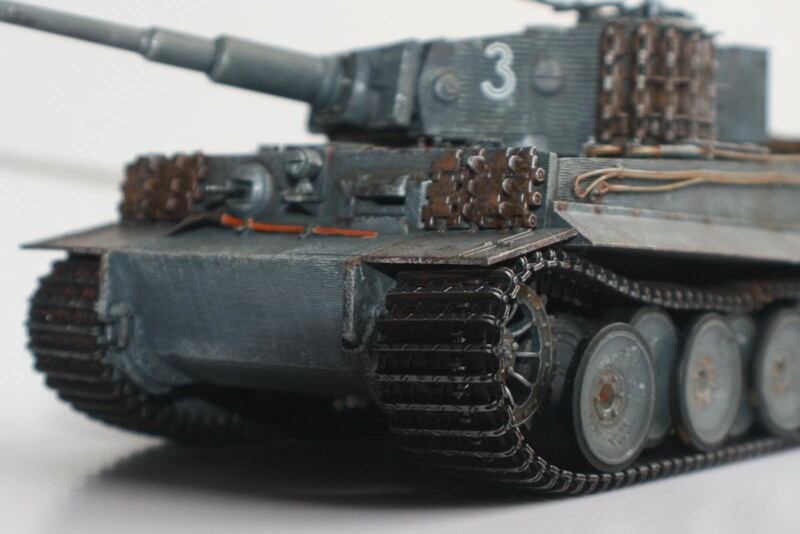 The Tiger factory was apparently using the older tropical paints, RAL 80000 and RAL 7008, until the spring of 1943. We can see brand new Tigers at that time, apparently painted in those colours and not light enough to be RAL 8020. And of course there’s the surviving Tiger “131” where they did find RAL 8000 on it.